Buddleia auriculata (Buddleja auriculata): growing, planting, caring. Flowers smelling of Chanel No. 5 - amazing ! Buddleja auriculata is an evergreen shrub endemic to southern Africa, growing less than 6 m in height with narrow, lanceolate, and dark green leaves contrasting strongly with the inflorescences, comprising small, loose, off-white panicles, the corollas with yellow throats, in bloom from October to December in the Northern Hemisphere. As it is not hardy below c. -10 °C, it is best grown against a south-facing wall in temperate climates. A shrub measuring between 2 and 5 meters, with downy stems, opposite, spear-shaped leaves of a green-greyish colour. It flowers in the summer in large, dense panicles of heavily scented violet flowers. 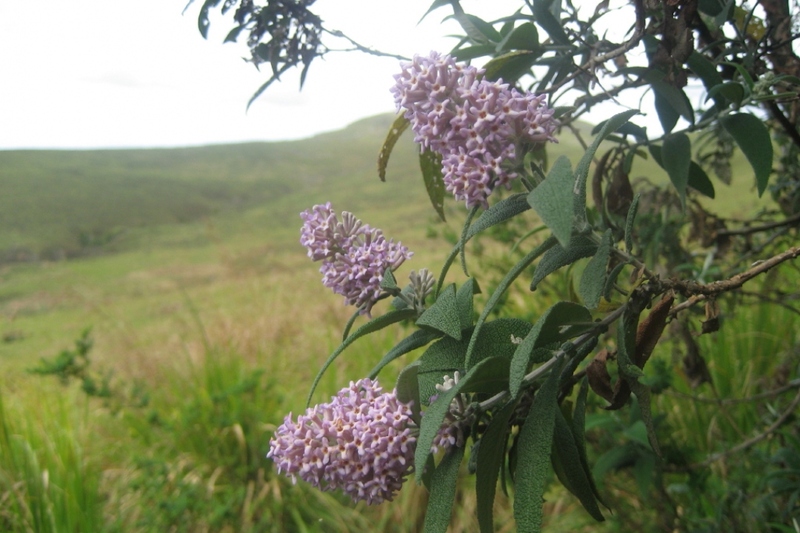 There are other types of butterfly bush than Buddleja davidii, with yellow or white foliage. Mulch in November each year to protect the soil — especially for the first few years — and limit weeding.